Westminster Abbey in London - The Church from 1066 close by Big Ben. 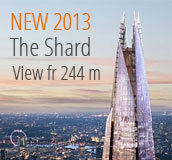 Address: Mellan Broad Sancturay och St. Margaret Street, London. 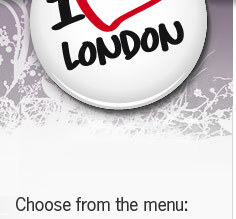 If you are in the London city center, you can not miss this world-famous church. The church is located right next to Big Ben and if you are interested in amazing buildings and history - this is the place for you. What can be found in the church? Here you can watch the majority of resting UK kings, queens, famous poets, writers, artists, etc. You walk quietly through the halls and views and architecture that extends from 1065. It feels a bit strange when you pass the names as we know from history lessons, Elizabeth I, Mary (Queen of Scots), Henry VII and others. King Edward started construction of The Abbey 1065. He died shortly afterwards and was buried inside the church. When William the Conqueror came back to London after the Battle of Hastings, he chose to be crowned in the church, on Dec 25, 1066. After this, the Church has always been used in coronations. In 1245 King Henry III decided to enlargen "The Abbey" - this was the start of the French Gothic appearance. Different parts of the church has been enlargen over the centuries. It was King Henry III's death in 1272 that started the tradition of royal funerals in Westminster Abbey. Visit this beautiful church on your own. Take your time and try to imagine 1000 years of Westminster Abbey's history. The church dates back to the year 1066 and here are several famous people and royals buried. 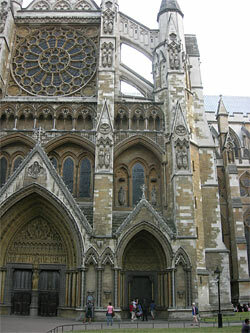 Westminster Abbey is England's most famous and important church. The ticket includes admission to Westminster Abbey. UK's Queen Elizabeth II was crowned in Westminster Abbey on June 2, 1953. Elizabeth I was crowned in 1558 - buried 1603. Royal wedding between crown prince William and Kate Middleton. Fortunately, the church has never been seriously damaged in any war - there is a visible hole in the church retained as a memory of the London bombings. 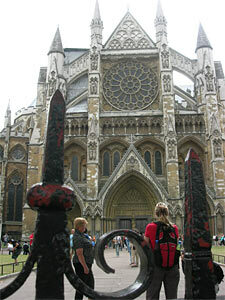 Today there is about 3300 people buried in Westminster Abbey, on the inside and outside of the church. Westminster Abbey will get a new tower which is scheduled to open to the public in 2018 . This will be a completely new gallery - The Queen's Diamond Jubilee Galleries - that will show not previously seen material from the Abbeys collections. The view is also said to be magnificent up here. Keep in mind! You are not allowed to photograph or film inside the church. However, you can take pictures when you are on the outsides. It can also be a lot of people at peak season... it is a bit of a queue when you walk inside... but it is certainly worth a visit. Also remember to dress for a church visit.